Israel Folau has told his side of the story over his controversial (and frankly homophobic) Instagram comment, which had resulted in a storm of controversy. He explained last night the role that his religion plays in his life. Israel Folau reads the Bible every day, and has taken great comfort in his Christianity over his career. He is proud of his faith, and believes that what the Bible (particularly the New Testament) says is absolute truth. He also stands by his comment that all gay people will go to hell unless they repent. In his statement last night he revealed how much his religion means to him, and how his identity is shaped by being a devout Christian. He also tells us that before he found his new religion (after leaving Mormonism) he felt lost, trying to fill the void in his life with women, alcohol and “sin” – in other words, being a young man in Australia. He believes that being an NRL star so young (he made his first grade debut at 17) also exposed him to these temptations at a very young age. When he was going through tough times, as he was playing AFL not very well for GWS, he started going to a new church. This church helped him to rediscover his faith in Jesus, and it has been a major part of his life ever since. If Folau finds so much meaning in his religion, good for him. He says that he would rather lose all of his friends, family, money and career than lose his faith. It is tempting to ask what his wife thinks of that, but if he has found something to give his life meaning then that is clearly a good thing for him. Less positively, Folau also rejected claims by Rugby Australia that he would think about his social media use. In fact, he revealed that he offered to walk away from Australian rugby on the spot if CEO Raelene Castle feels that his values are incompatible with the inclusive stance taken by RA. Israel Folau also categorically rejects claims that he is homophobic. He claims to love all people, and points out that the same Bible passage he quotes condemning homosexuality also states that drunkards, adulterers and swindlers (among others) will also be denied access to Heaven. What he does not seem to realise, however, is that all of the other sins listed are a choice. 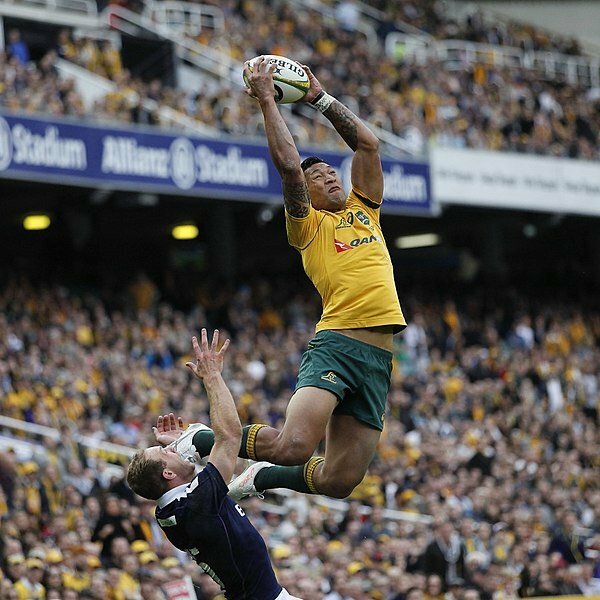 Folau believes that God is good and just. He also believes that God condemns gay men to Hell. The clear implication is that Israel Folau, the poster child of Australian rugby, believes that people who are born gay deserve to be punished for all of eternity. If that isn’t homophobia, I don’t know what is.